In 1835, a man named Christopher Bailey and some business associates founded the city of Beaumont between the settlements of Tevis Bluff and Santa Ana. Christopher Bailey decided to name the city after Jefferson Beaumont. 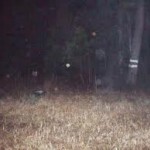 At Saratoga Road in Beaumont, Texas, people claim to catch a glimpse almost every night of a strange light phenomena. A ghostly light floats around and sometimes, reportedly sits on the hood of cars. The Light of Saratoga is a legend taking place in the Big Thicket in southeast Texas. The Big Thicket is a heavily forested area in southeast Texas. Saratoga Road is also known as the “Ghost Road” and the “Bragg Road Ghost Light”. Whatever you call it, Saratoga Road, the Ghost Road, or the Bragg Road Ghost Light, what happens there is legendary. Locals claim that a ghostly light appears and disappears without explanation. 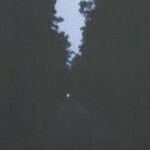 The Ghost Road light may appear as yellow, white, or red, according to observers. 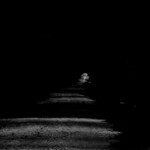 Some people claim that the Bragg Road Ghost Light will sway back and forth as though someone were carrying a lantern. People have tried to catch up to the light to no avail. Although some have claimed that the light actually was able to enter their vehicle. Some people speculate that swamp gas is what causes the Ghost Road Light to appear. Others claim that it is the ghost of a decapitated railroad worker who is searching for his head, eternally. Just north of Watersmeet in the Upper Peninsula of Michigan, there is a very similar phenomena known as the Paulding Light. Interestingly, a similar story about a headless railroad worker is given as the reasoning for this light’s appearance also. 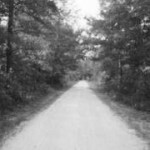 The Ghost Road is located between Beaumont and Livingston about 16 miles west of Kountze, Texas. The dirt road runs north-south starting at the south end at a bend on Farm-to-Market Road 787 that is 1.7 miles north of the intersection of FM 787-770 near Saratoga and ending at the north end at Farm-to-Market Road 1293 near the ghost town of Bragg Station.